This audio device delivers exceptionally great sound quality for having small speakers. 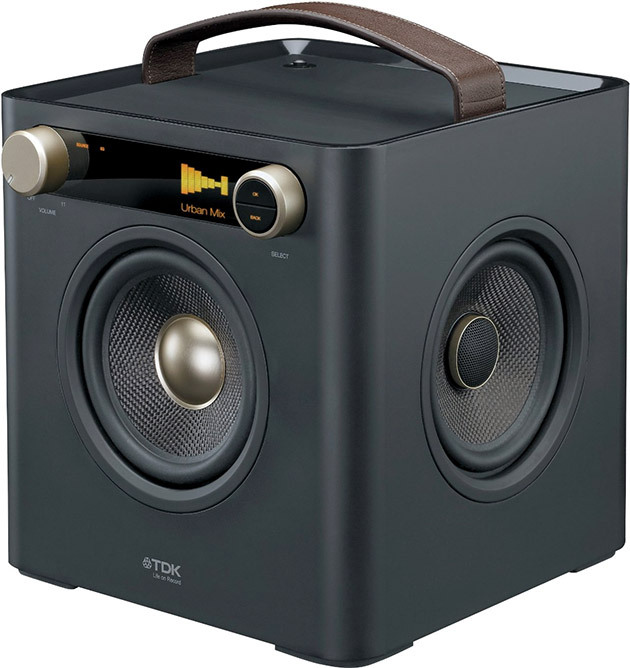 The compact TDK Sound Cube ($300) features a multi-directional design to fill your space with consistent surround sound. It also equipped with a radio tuner, two 5.25-inch coaxial drivers, and USB, 3.5mm and 6.35 mm auxiliary connectivity.